Our advanced data analytics training courses provide an in-depth insight into predictive modelling, churn analysis and credit risk models. Participants will acquire knowledge and skills required for planning, development, implementation and monitoring of analytical predictive models in the telecom industry. - Telecom Data Analytics and Predictive Modelling Training: this is an advanced analytics course focused on practical data analytics and general predictive modelling. - Telecom Churn Modelling Training Course: advanced course specifically designed and focused on predictive churn analysis and development of churn models. - Telecom Credit Risk Modelling Training Course: course created for credit risk modelling with aim to increase the probability of payment result of post-paid customers. Define required outcomes, criteria, time limitations, volumes of data. Availability, complexity, requirements. History and applications data. Internal & external data. 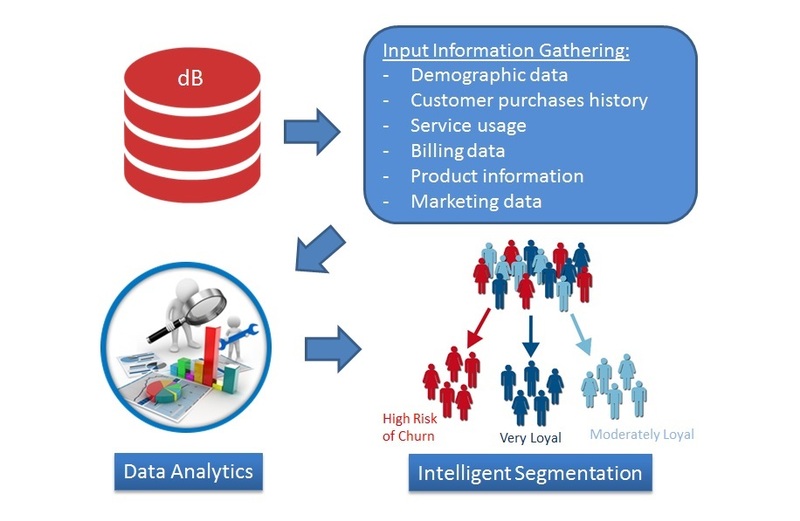 Customer demographics, product and billing data. What to monitor - model characteristics, performance, stability, strategy adherence.